In 2017 the Spartan Team World Championship included co-ed teams of three. For the 2018 Spartan Team World Championship, the teams will be gender-specific with nations sending both a male and female team to the championships. Additionally, this year will see the fastest three teams of each gender qualifying for the world championship. 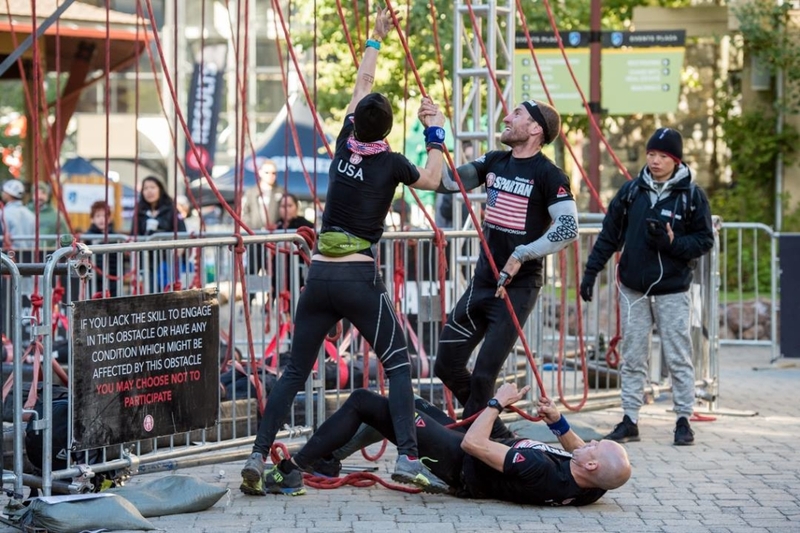 Athletes looking to qualify for the 2018 Spartan Team World Championship will have to make their way to Utah July 29 during the U.S. National Series race weekend. Mexico’s qualification weekend plays out August 18 over its National Championship race weekend in Mexico City. Canada will offer three opportunities August 12 in Calgary, August 26 in Quebec City and September 9 in Duntroon, Ontario to represent the nation on the world stage. More from the Spartan announcement below. The 2018 Spartan Team World Championship returns to the mountains of North Lake Tahoe on September 30, 2018. The event will see some of the best athletes in the world unite to form country-specific teams of three, representing more than 20 nations as part of the Spartan World Championship Weekend, the premier event of the 2018 Obstacle Racing (OCR) season. This year’s team race features new qualifying standards, gender-specific teams and a larger field competing on a “Spartan Super” race course featuring more than eight-miles of terrain with 25 to 30 signature obstacles along with challenges specifically designed for the format. The inaugural Team World Championship saw co-ed teams of three representing more than 20 countries dominate the terrain at Squaw Valley, with Team USA, Czech Republic and Canada taking the podium spots. Upping the ante and following the spirit of Olympic-style competition, the 2018 event will feature gender-specific teams of three, who have earned a spot on the course at one of 16+ global qualifying events. The fastest three teams of each gender, from each country, competing in qualifying events will earn the right to represent their country in Tahoe. With up to three male and three female teams from each nation eligible for the main event, the field will be larger than ever before. The qualifying event for the U.S. National teams takes place in Utah July 29 during the U.S. National Series race weekend, Mexico’s plays out August 18 over its National Championship race weekend in Mexico City and Canada will offer three opportunities August 12 in Calgary, August 26 in Quebec City and September 9 in Duntroon, Ontario. While intense competition will unfold among elite racers at the team qualifying events, athletes of all abilities are invited to form teams and participate to put their skills to the test. For a complete list of qualifying events and to register visit Spartan.com. The 2018 Team World Championship and qualifying events are part of Spartan’s Global Championship Series, which feature events on five continents – where National Series lead to Regional Championship events that qualify racers for the World Championship. To qualify for regional championships, competitors must place top 10 in any regular season or National Series event. To qualify for the World Championship in North Lake Tahoe, racers must finish top 10 in a National Series event or a Regional Championship. The 2018 Spartan World Championship returns to North Lake Tahoe, Calif./Nev., Sept. 29-30, drawing some of the world’s best endurance athletes to the rugged mountains of Squaw Valley | Alpine Meadows—host of the 1960 Winter Olympics. The World Championship attracts qualifiers from more than 50 countries to stake their claim on more than $125,000 in prize money. The Team World Championship and World Championship races will stream live exclusively on Facebook Watch via the Spartan Race LIVE Page.